2016년 7월 3일 삼성서울병원 소화기병 심포지엄 이혁 교수님 강의에서 옮깁니다. 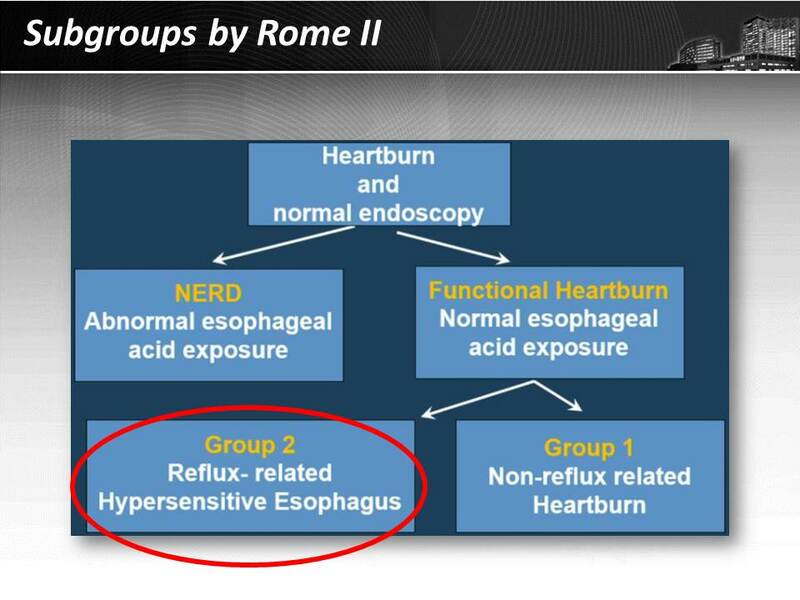 Rome II에서는 NERD가 아닌 것은 모두 functional heartburn이라 불렀고 이 중 한 그룹이 reflux-related hypersensitive esophagus였습니다. 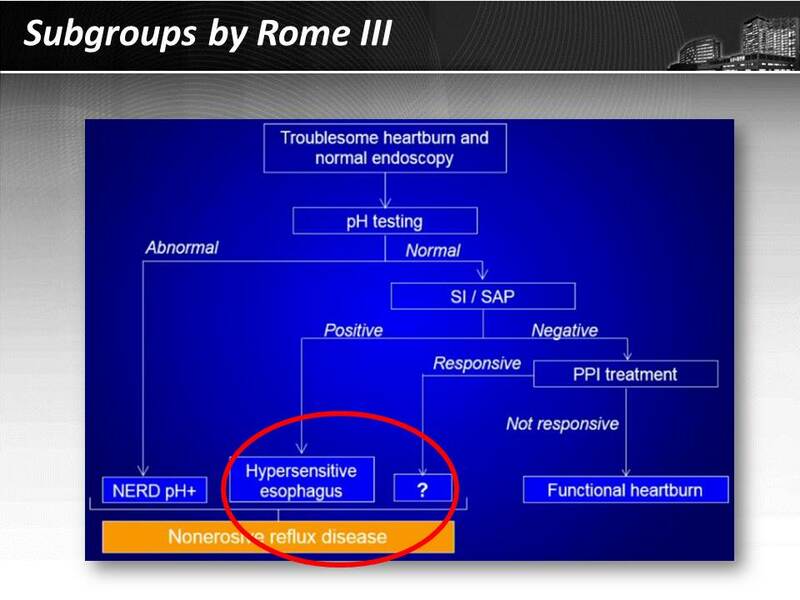 Rome III에서 hypersensitive esophagus가 functional heartburn과 분리되었지만, NERD와의 관계가 명확하지 않았습니다. 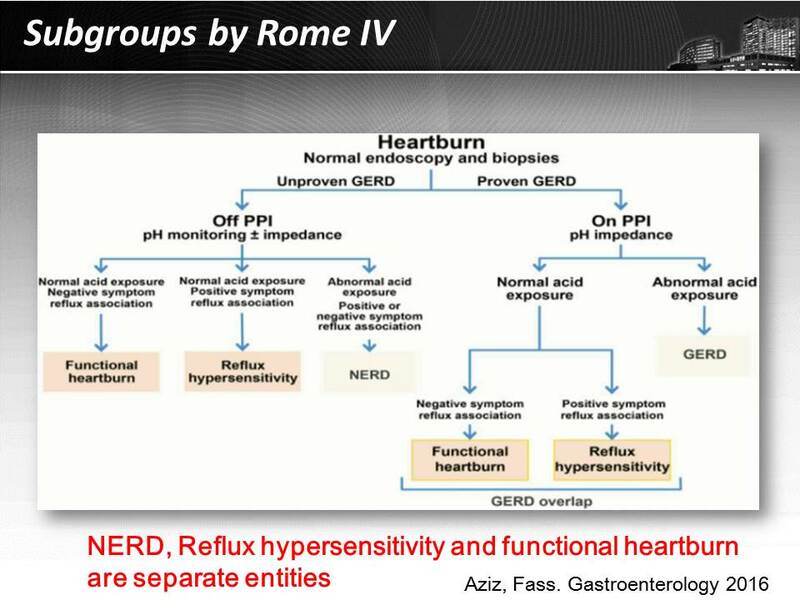 Rome IV에서 functional heartburn은 reflux hypersensitivity 및 NERD와 구분되는 별개의 상황으로 나누어졌습니다. 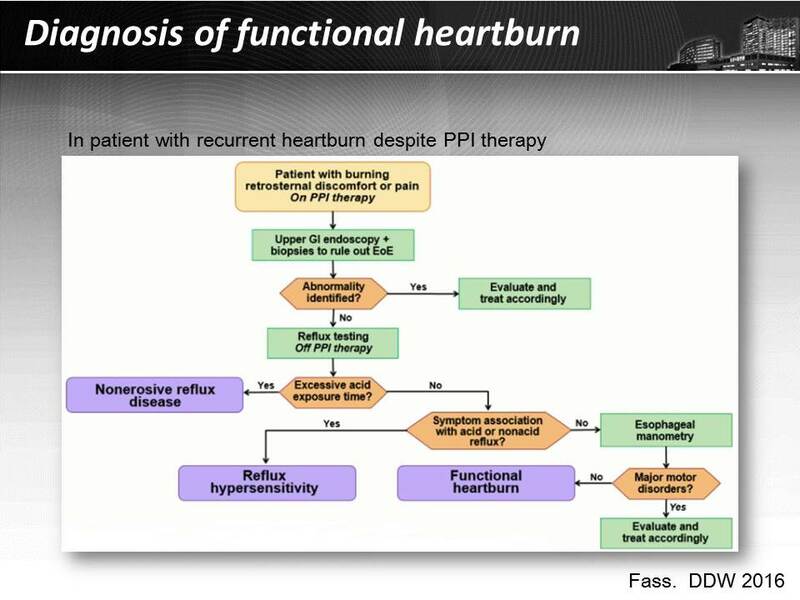 PPI를 사용함에도 불구하고 지속적으로 heartburn을 호소하는 환자의 일부가 functional heartburn입니다. 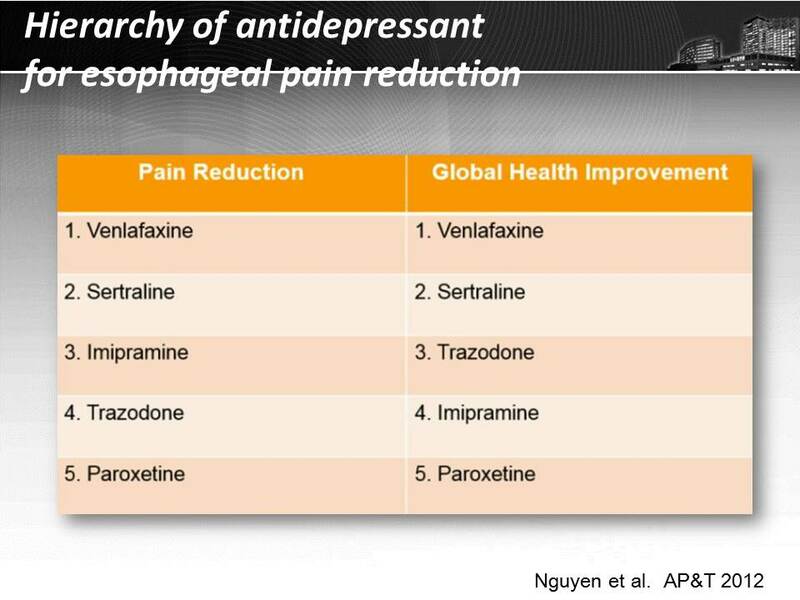 Venlafaxine 등 neuromodulator가 어느 정도 효과적이지만 보험 등의 이슈로 처방이 쉽지 않습니다.